You've probably encountered apartments in “estate condition” before, or at least are aware they exist. But what exactly are they? And could buying one be right for you? Ivana Tagliamonte of Halstead Property breaks down the positives and negatives of purchasing one in this week’s Buy Curious. I’ve heard that buying an estate-condition apartment could save me some money, but what are the pros and cons? And can you point me to some? Contrary to what many people think, an “estate condition” apartment doesn't necessarily mean that a home is being sold by the heirs of a recently deceased owner. It's simply that the apartment is original in fit and finish and more than likely in need of some updating. While conditions range from poor to decent, they are almost always obsolete in style or function. True estate sales aren’t always advertised as such, since some buyers are put off by the idea that someone died in the place. That means that in reality it’s pretty hard to gauge whether a place is in estate condition or simply in need of a renovation. The only way to know for sure is to ask the listing agent. Many people find them by staying in touch with other building residents (as these places often sell to neighbors who’ve been keeping an eye out for them) or through building staff (because they’re usually in the know). So if you’re looking for a bargain, always ask the doorman! Lower prices: Because the apartments are sold as-is—without improvements—they can sometimes be purchased at a significant discount. In fact, if an estate condition apartment requires a full renovation, it could be 10 to 20 percent cheaper than a similar, fully updated home. 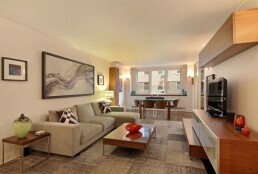 For example, look at two studios with the same layout at 205 Third Avenue, a co-op building in Gramercy Park. Apartment 9G is in estate condition; it's in contract now but had an asking price of $425,000. Apartment 8G is in much better shape, though a buyer would still probably want to make upgrades to the kitchen and bath. It’s asking $475,000—so you’d have paid about 10 percent more. However, some hard-to-find layouts at sought-after addresses will often command higher prices even if they are in estate condition (think a classic six with Central Park views). The less inventory available and the tighter the market, the less of a discount a buyer will get. Customized renovations: Some buyers prefer estate-condition apartments so that they can renovate to their own taste as opposed to paying a premium for someone else's updates. Classic details: Some older apartments have lovely prewar touches like original moldings and fixtures or funky architectural details that’ll add character to your new home. Less competition: Potential buyers are sometimes scared off by the amount of work a place requires, so there are often fewer bidders--meaning you'll have a better chance of actually scoring the apartment you want. A cheaper route to a tony neighborhood: Can’t afford a typical Upper East Side one-bedroom but desperately want to live there? An estate condition apartment can be your in. But make sure you have enough cash left to renovate! No turn-key options: Many of these apartments need gut renos, which may even include rewiring the electrical system or upgrading the plumbing. Even if you saved on the price of the home, you may wind up sinking a ton of cash into the place or suffering the headache of a major restoration. A later move-in date: Since those repairs could take a while, you may not be able to move in immediately, meaning you'll have to keep paying rent or possibly delay the closing of the place you currently own so you can live there until your new digs are ready. It’ll be cheaper to live on premises, but it might be impossible to live comfortably under those conditions. More decision-makers, more problems: Estate sales often involve multiple heirs, who may have different ideas on how to handle the transaction, have emotional attachments to the property, or live outside the city and don't understand the market. All of these factors could delay the signing of a contract and make the entire deal take longer. Limited condo selection: Since estate-condition sales tend to take place in older buildings, you'll find more in co-ops than condos (especially since there are more co-ops in New York City already). Co-ops often have stricter limits on subletting and other rules, plus a rigorous co-op board review process. Many of these older buildings also lack high-end amenities like gyms and yoga rooms. Fewer large apartments: Two- and three-bedrooms in estate condition are harder to find on the open market than studios and one-bedrooms as they often sell to neighbors who have been anticipating the sale. In these cases, the seller may take a lower price to avoid listing the home publicly and to ensure a (hopefully) successful and speedy co-op board approval and sale. Midtown East one-bedroom/one-bathroom co-op, $399,000: With 1,000 square feet inside and a private 400-square-foot garden outside (accessed by a staircase off the living room), this oversized one-bedroom at 420 East 51st Street between First Avenue and Beekman Place is spacious. The co-op building has a doorman, a live-in super and an elevator. Upper East Side one-bedroom/one-bathroom co-op, $625,000: This large one-bedroom at 501 East 79th Street between East End and York Avenues has an oversized living room, a dining area and a large bedroom. 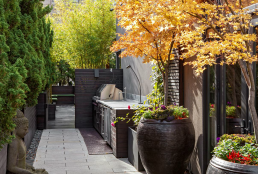 There’s also a private 550-square-foot patio running the width of the apartment. 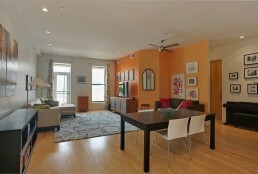 The apartment is located in a co-op building with a full-time doorman and a live-in super. Greenwich Village one-bedroom/one-bathroom co-op, $550,000: Close to Washington Square Park, this one-bedroom co-op at 24 Fifth Avenue between West 9th and West 10th Streets faces east and has nine-foot beamed ceilings—but needs a lot of work. It is located in a building with a fitness center, bicycle storage, a resident super and a full-time lobby attendant. Gramercy Park alcove studio/one-bathroom co-op, $450,000: Located at 330 Third Avenue between East 24th and East 25th Streets, this east-facing 16th-floor alcove studio in Gramercy Park is in estate condition but has good bones. The place is even large enough to convert to a junior one-bedroom. The co-op building has a live-in super, new elevators, a storage room and a garage. Upper West Side alcove studio/one-bathroom condo, $550,000: This spacious wreck at 392 Central Park West between West 97th and West 100th Streets offers a separate full-sized kitchen, a sleep alcove with a closeted dressing area, a walk-in closet and new wall-to-wall thermal picture windows with Central Park views. The unit is located in a full-service condo building with a 24-hour concierge, a fitness center, high-speed cable and on-site parking and storage. The Columbus Square retail complex—which features Whole Foods, Sephora, HomeGoods and more—is right next door. 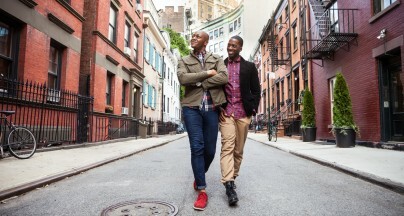 Buy Curious: Is it possible to find a 2-bedroom in NYC with sublet potential for $1.2 million? 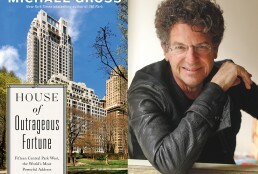 Author Michael Gross on 15 Central Park West's trophy condos: "There's no accounting for taste"